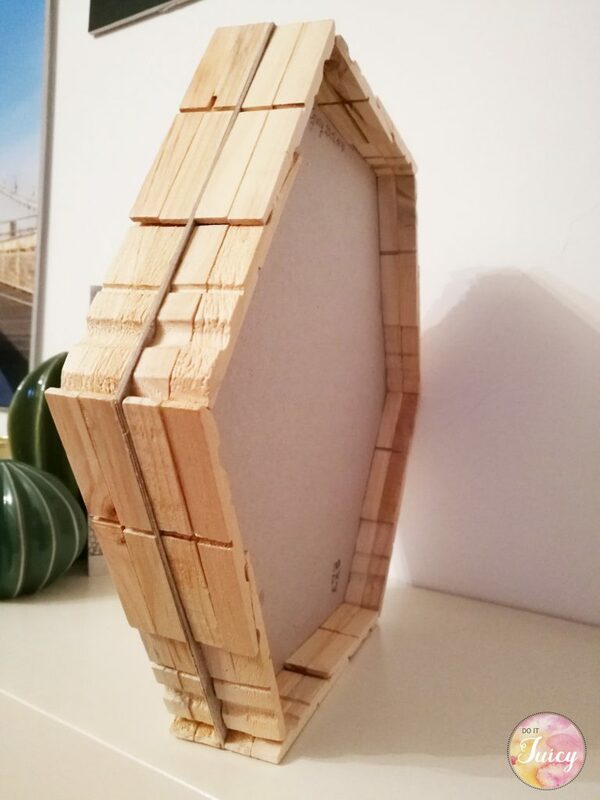 First of all make the support for the tray using a cardboard and cut it in the hexagonal shape. 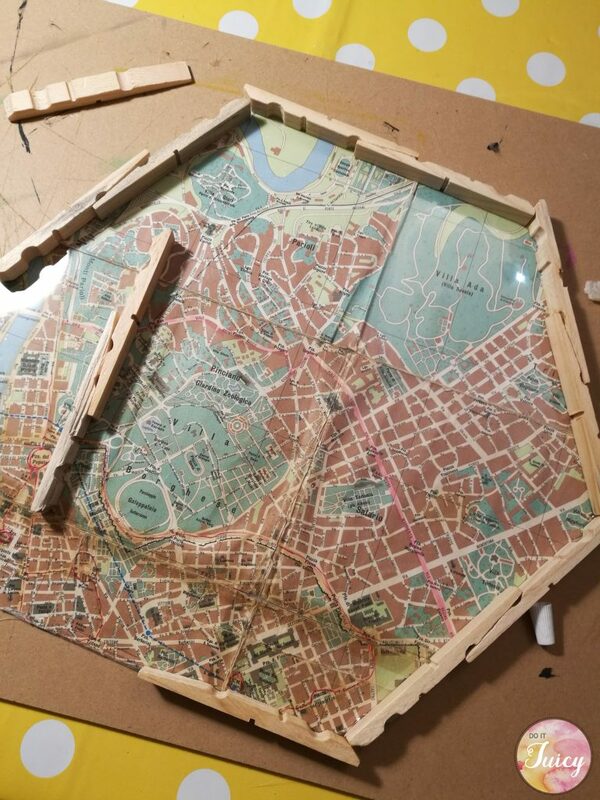 Don’t worry it will not be a “perfect hexagon” because of the singular shape of the clothespins. Therefore insert and glue inside a picture you like. 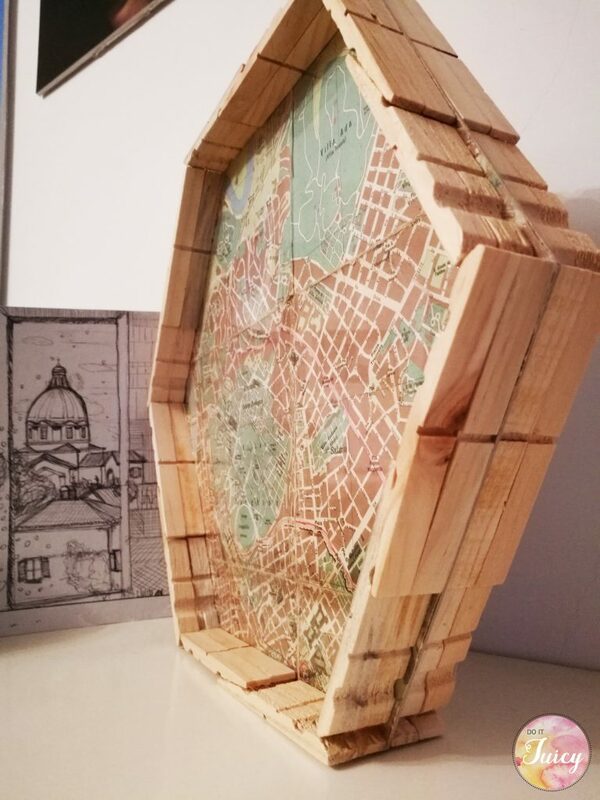 I choose a vintage map of my city Rome and to preserve it i put a transparent layer over it. 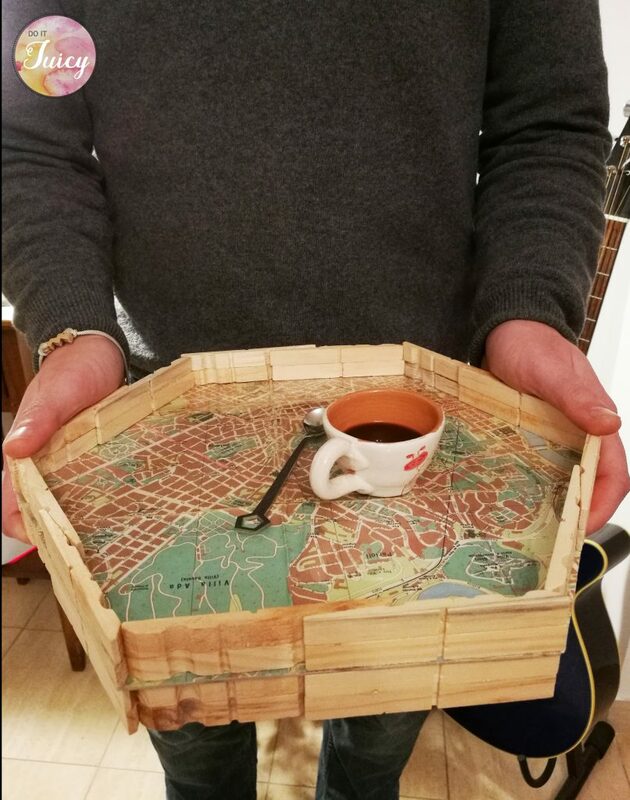 This one was a present for my brother that lives far away from Italy. 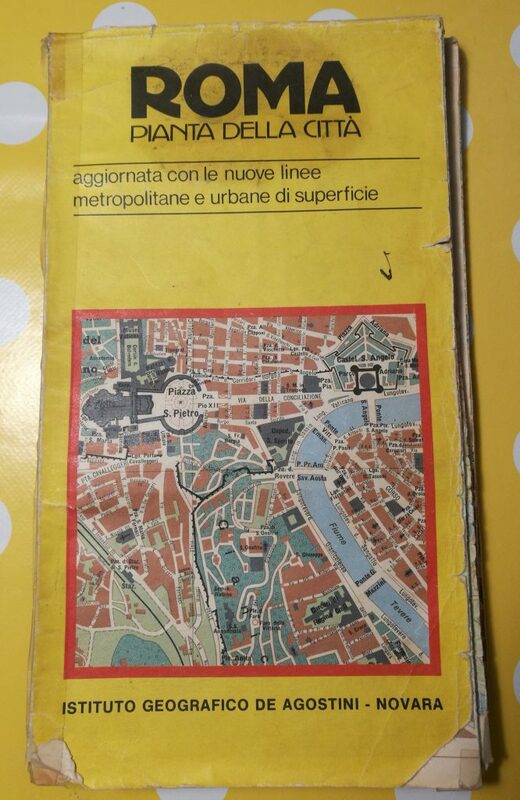 The idea of Rome is perfect to remind him the period we spent together in this beautiful city. 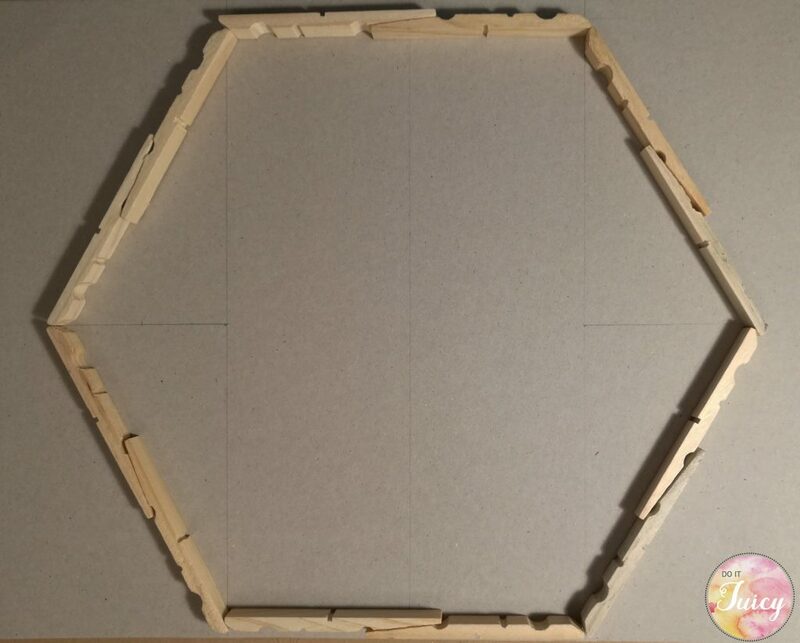 The dimension of one side of the hexagon depends on the clothespins you use. Usually one clothespin is about 10 cm, for this project i used two clothespins for each side. The support and the picture has to be in the middle of the tray. To do that make 4 layers of clothespins , two for each side. This will make the tray more strong and with a good thickness. There are many possibilities to use this DIY TRAY, you can put it standing on a shelf or use it as a frame on a wall. This idea is almost similar to other two projects i made. I have other many different ideas to share. I’ll show you soon another DIY project just using cheep materials like clothespins.